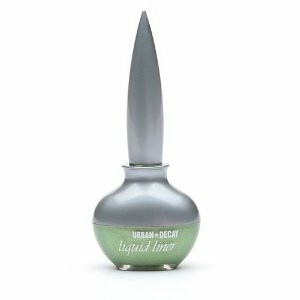 Urban Decay Eyeshadow Primer Potion has a unique veil shaped like a genie bottle in a cute lilac shade. 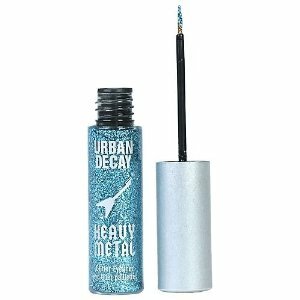 The primer is devised to provide a totally translucent base that should glide on easily, this is promised by Urban Decay to make eyeshadow smoother to apply, appear more vibrant and last longer without creasing. Apparently the potion has been improved with its new bent wand, this is designed to make applications smoother and easier. The ingredients suggest this may not appeal to the more Eco friendly patron as it contains some synthetic ingredients. Isododecane, Talc, Cyclopentasiloxane, Disteardimonium Hectorite, Trihydroxystearin, Triethylhexanoin, Isopropyl Lanolate, Sorbitan Sesquioleate, VP/Eicosene Copolymer, Dimethicone, PEG-40 Stearate, Propylene Carbonate, Phenoxyethanol, Cera Alba (Beeswax), Trimethylsiloxysilicate, Propylparaben, Methylparaben, Ethylparaben, Butylparaben, Methicone, Isobutylparaben. May Contain: Mica, CI 77891 (Titanium Dioxide), CI 77491, CI 77492, CI 77499 (Iron Oxides), CI 77163 (Bismuth Oxychloride). 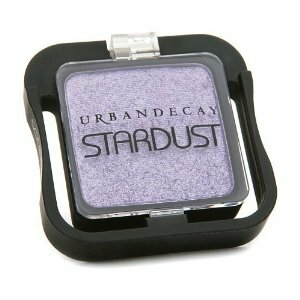 The majority of patrons adored this potion as it made their eyeshadow last all day without fading or creasing. However, a few users found it didn't work for them at all, this was mainly ladies with oily lids. They said it didn't make any difference to their eyeshadow, some even said it made the shadow crease more. The primer is also a little lavishly priced at $18 but most users said it does last a long time, so its worth the price. You are currently browsing the archives for the Urban Decay category.